When your newborn has lumps, spots or bumps on his or her body, it’s only natural to be concerned. 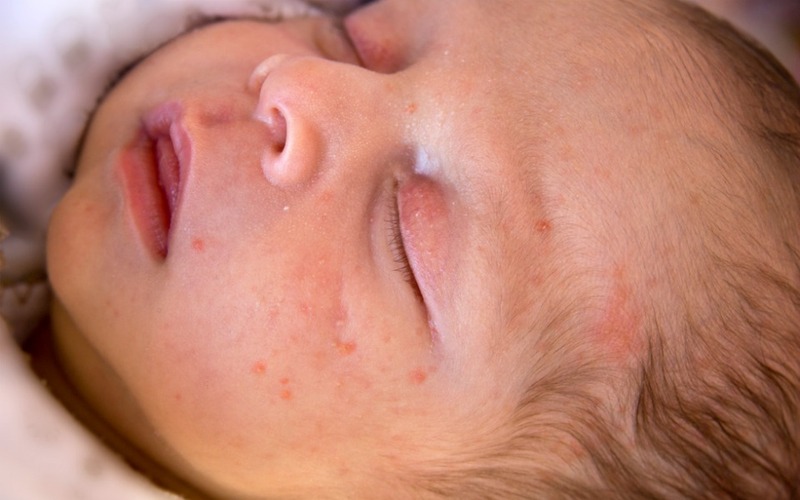 But newborn rashes are actually incredibly common. The thing is, when should rashes really make you worry? And what can you do to help alleviate the symptoms that come with these rashes? It’s going to take some time for your newborn to get used to their new surroundings. They no longer live in a bubble of warm water and thus, their body, including skin, is going to need to adapt to these changes. 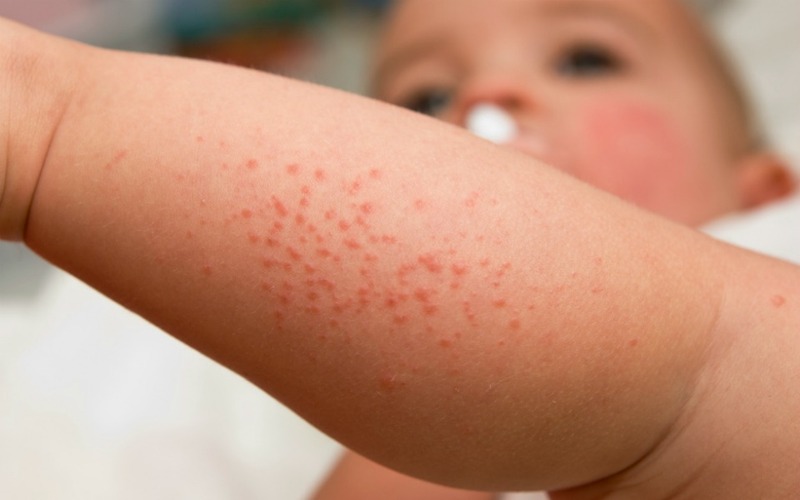 Most baby rashes are harmless and will go away on their own or with minor adjustments (such as changing the washing detergent or eliminating certain foods from your diet if breastfeeding). However in very rare cases, a rash is the sign of a serious infection, such as meningitis, which will require immediate medical attention. Always consult your doctor if you are concerned about a rash in your newborn. 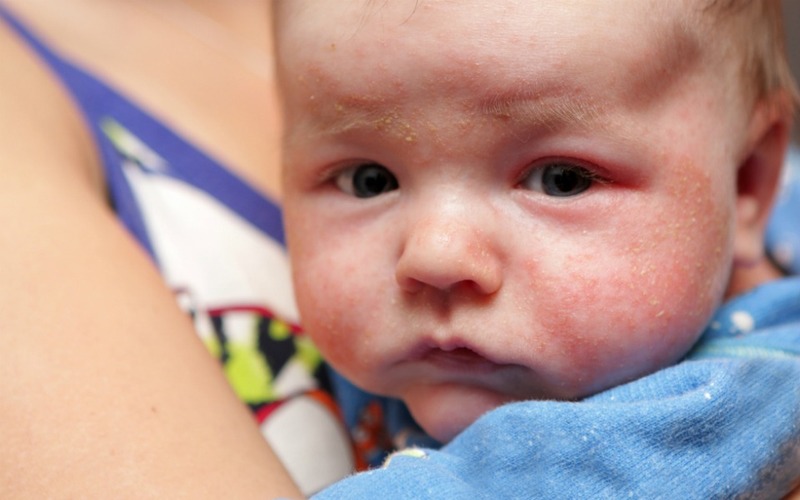 Characterised as blotchy red skin (caused by minor irritation from bub’s new surroundings) that appears usually within the first 48-72 hours after birth, erythema toxicum can be terrifying for a first-time mum. But it’s completely harmless and common (half of all newborns develop it) and it will clear up after a few days. Phew. These little white spots (caused by blocked pores) on a newborn’s face are temporary and nothing to worry about. About half of all newborns will develop this and they will usually go away within the first month. In addition to the little whiteheads, some babies will also get little pimples on their cheeks and nose. Known as baby acne, these usually clear up around the six week mark. 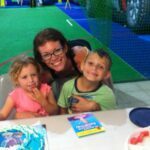 Any adult who lives in Australia has experienced heat rash once or twice (or pretty much every day if you live in the tropics like I do). This condition, which occurs due to an excess of sweat in hot and humid conditions, will clear on its own but you may wish to cool bub down with a cool, wet cloth and remove any excess clothing. Some babies also experience chicken skin (caused by genetics), which almost looks like your baby’s body (or part of bub’s body) is covered in goosebumps. While there isn’t a cure for it, the condition is harmless, very common and shouldn’t bother bub in any way. Eczema can be a long-term skin condition which causes the skin to become red, dry, itchy and cracked. There are plenty of remedies to help alleviate the symptoms including special washing detergent and baby wash. Learn more about eczema here. Another common condition in babies, nappy rash occurs around the genitalia and bum, usually caused by an irritation of urine or poop against baby’s skin. There are barrier creams to help prevent and treat nappy rash but, if the rash doesn’t seem to be going away, consult your doctor for a prescription medication. Hives are caused by an allergic reaction (often cow’s milk) and are characterised by red, itchy bumps on the skin. These bumps are usually raised and the condition will clear up on its own. However, if your baby is getting them regularly, it is a good idea to consult your doctor and perhaps start looking into eliminating certain foods from your diet to see if that helps. Sometimes a rash is caused by a skin infection, such as ringworm, which is distinguished from other rashes by its ring-like redness. These rashes can appear anywhere in the body and are treated using over-the-counter creams. Though it sounds disgusting, ringworm is actually quite common and generally easy to treat. Also known as slapped cheek syndrome, this rash is brought on by a viral infection and characterised by a bright red rash on both cheeks, often accompanied by a fever. The condition will clear up on its own within a few days but it can be passed on to others (including unborn babies in pregnant mothers), so it’s best to avoid contact with others until the condition has cleared. 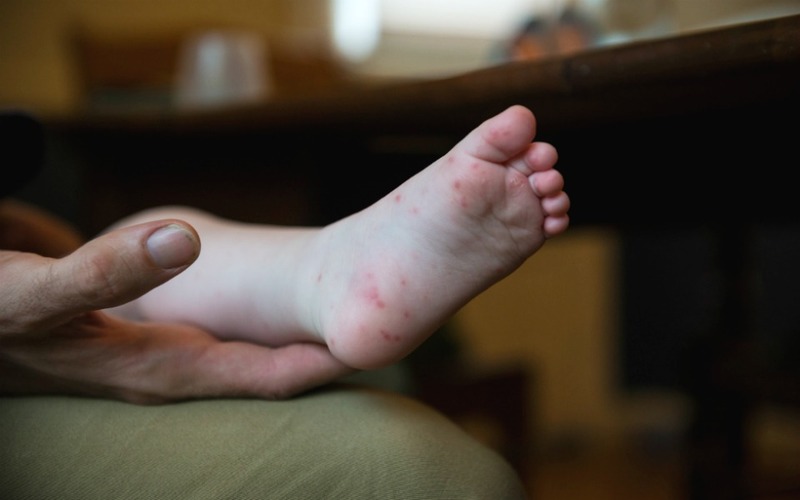 Hand, foot and mouth disease is another common rash that usually starts on the hands and feet. This viral illness is highly contagious. Bub may also have a fever and feel generally unwell. Hand, foot and mouth disease includes a blister-like rash and will clear up on its own within seven to 10 days. Keep bub away from other kids during this time as the infection spreads incredibly easily. Although not considered serious, erythema multiforme starts as a rash on the hands or feet before spreading across the body. It is usually caused by a reaction to medication or an infection such as herpes simplex virus, and it can take up to six weeks to go away and usually warrants a trip to your local GP. In addition to the red spot-like rash, bub may also have a fever and fell unwell. Another infection that causes a worrying rash is impetigo, which is characterised by sores and blisters on the skin. While it looks awful, it is usually not serious and often spread by older kids. Impetigo will require antibiotics from a doctor and usually clears within seven to 10 days. Although generally uncommon, meningococcal disease usually follows a typical cold or respiratory tract infection and includes bruise-like purple bumps on the skin. Other symptoms include nausea, fever, tiredness as well as a stiff neck. If bub is displaying any of these symptoms, immediate medical attention is required. 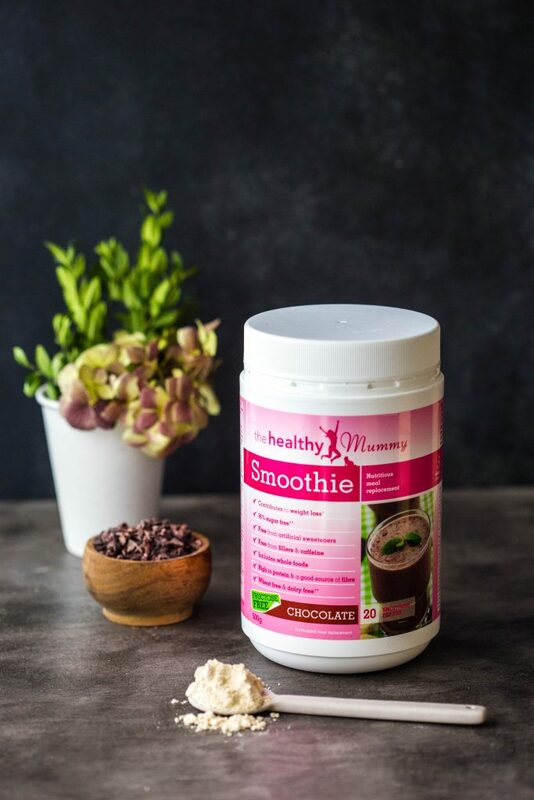 Did you know our Healthy Mummy Smoothie is breastfeeding-friendly? You can download our information fact sheet here. You can also download the smoothie label and ingredient list here.